Guitarist Extraordinaire leads All-Star Group playing Jazz, Blues, & More live at Nighttown! Featuring: Sam Hooper-guitar & vocals, Sakait Baksar-keyboards/vocals, Jeff Rice-sax/harmonica/vocals, Derrick James-bass/vocals, & Chuck Orange-drums. Sam Hooper Group is an exciting Cleveland band rooted in the blues. Originally formed when Hooper lived in Boston, the band has evolved through tours and recording in the USA and Asia to develop its own interpretation of this classic art form. Hooper has kept the approach fresh, since returning to his hometown roots in Cleveland, OH four years ago and performing all over Northeast Ohio. 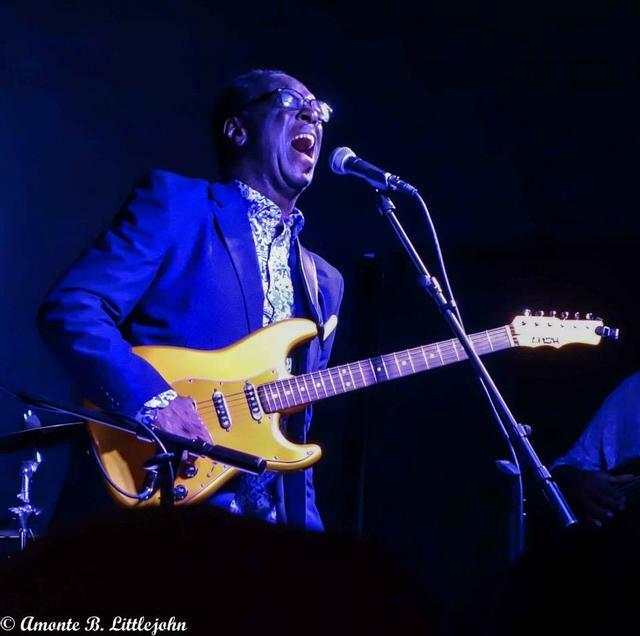 Hooper’s newest CD, "Sam Hooper and Mike Null - Hoodoo Blues," was the Winner for 2015 Best Self-Produced CD in the Cleveland Blues Society's annual International Blues Challenge competition.